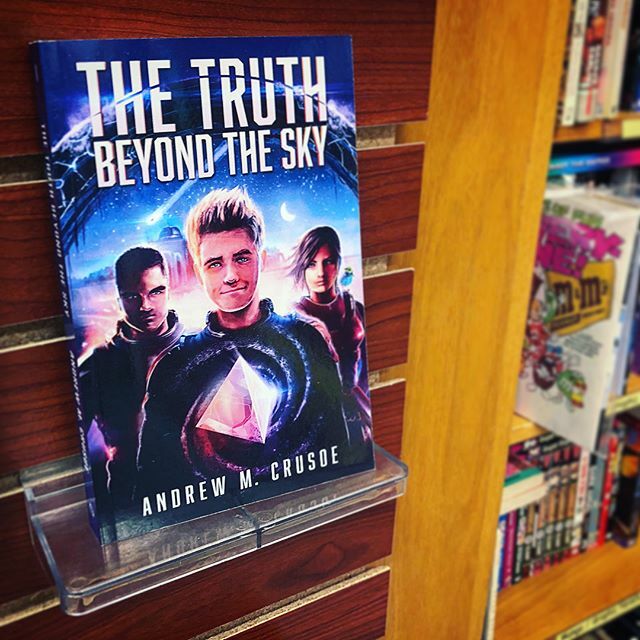 I went to a potluck on Sunday and was really encouraged to meet someone who had bought The Truth Beyond the Sky at Big Island Book Buyers! So happy to hear how much she was enjoying the story! In case you haven’t heard yet, all 3 books in my Tropically-Inspired Sci-Fi trilogy are available there! You can start with this book, or with The Island on the Edge of Forever — But I’d stop in sooner rather than later, before they sell out! The first two books are #TropicalSciFi – so they’re perfect novels to read if you love tropical climates (or live on one!) I also stop by the store from time to time, and if you see me there, I’m more than happy to sign a copy & write a personalized message, just for you! ALSO: stay tuned for updates on TEN THOUSAND HOURS IN PARADISE, my first nonfiction adventure, all about the #BigIsland of Hawaii! Volume 1: ARRIVAL comes out in November, and I can’t wait to share it with you all! In the meantime, stop by the store! Or, if you’d rather read on your Kindle or iPad, check out the ebook version! On the anniversary of his mother’s disappearance, Zahn makes his annual trip up to the island summit — only to be awoken by a blinding object thundering down from the sky, setting off a chain of events that takes him face to face with a living starship and its cryptic pilot. For the first time, Zahn has the chance to learn the fate of his mother, but to do that, he must go to the core of the galaxy itself, where he encounters the #Vakragha, a species bent on consuming entire stars. To Zahn’s horror, he learns that they’re heading toward his home. And only the Tulari stone, which has been missing for aeons, can stop their devastating wormholes. But saving his world from armageddon isn’t all he has to worry about. Just when Zahn lands on a moon stolen by the Vakragha, he makes a breakthrough, finally learning his mother’s true fate. Now he is faced with a heartbreaking decision that could either save his world or doom it forever.